MainAll NewsMiddle EastNetanyahu asks Iran: True or false? Netanyahu asks Iran: True or false? PM films message to Iranian people for 40th anniversary of the Islamist Republic, recalls past alliance between Iran and Israel. Prime Minister Binyamin Netanyahu filmed a message to mark forty years since the Islamic Revolution in Iran. 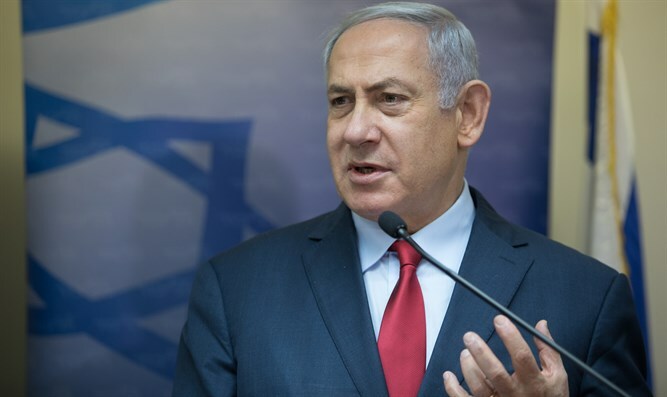 Contrasting the cooperation between the countries and economic conditions with the current Iranian regime's hatred of Israel and broken economy, Netanyahu reiterated a message of friendship to the people of Iran, who Netanyahu called the primary victims suffering at the hands of the regime. The prime minister ended his message with the hope that Israel and Iran will one day work together as friends again and not as enemies.